Thanksgiving seems to often consist of many delicious, starchy favorites like mashed potatoes, sweet potatoes, stuffing, and dressing. 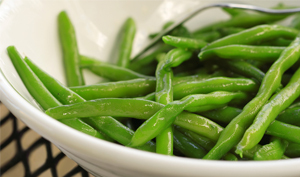 Growing up, one of the quickest side dishes to go on our table was sautéed green beans. Over the years, and especially since I’ve come to live in the South, it’s been brought to my attention that my mother was improperly preparing the green beans for this festive day. I couldn’t disagree more, but in response to you naysayers, I will propose three unique green bean recipes and let you decide the “proper” way on your own. This is regarded as a staple on many Thanksgiving tables and often considered a necessity – or at least so I have been passionately told. 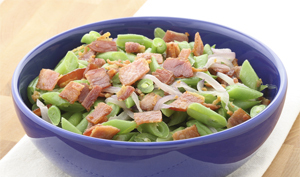 Having had the opportunity to enjoy several versions of the green bean casserole, I do agree it’s quite delicious. 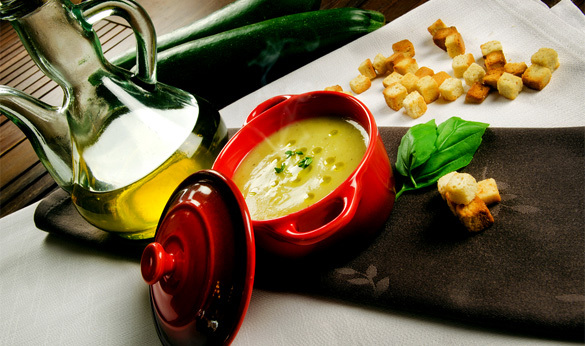 However, nearly each time it was created with unique ingredients. Sometimes with a crispy bacon topping, other times with rich cheeses mixed into the creamy filling, and even once as a pseudo quiche. The recipe included below is fairly simple, and can be altered to accommodate unique mix-ins and toppings. In a large saucepan or medium Dutch oven (https://www.katom.com/cat/dutch-oven-brazier.1.html), cook bacon over medium heat until it has rendered most of its fat and has begun to brown, about 5 minutes. Add the onion and sauté until translucent, about 5 minutes. Add the green beans, potatoes, and enough water to just cover them. Bring to a boil, then reduce the heat to low. Season with salt and pepper to taste, then cover the pan and simmer until the beans are very tender, about 1 hour. Stir occasionally and add more water if necessary to keep the beans covered. As the beans get close to being done they will become quite fragile, so take care when stirring. That is probably disputable, but these green beans are pretty delicious, extremely simple to make, and produce a fabulous aroma. Yes, you can add walnuts and cranberries, and you may even consider shallots. Truthfully, you don’t need any of that. 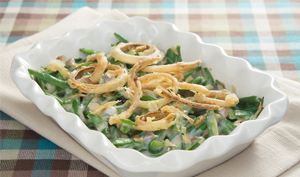 In a large skillet, sauté the green beans and garlic until tender-crisp. Season with sea salt and freshly-cracked black pepper. Serve immediately.